You want to be a writer – so you write. Once you feel you have a flair for it, the next natural notion is to be a successful writer – yes, then that sordid subject of money rears its head. In some cases, the decision to join a class or group is a no-brainer. Surely that’s going to be the next step, it will help to set you up as the next great thing in the literary world. Isn’t it? How hard can it be to come up with an idea, string a few sentences together, build them into paragraphs, and then block the paragraphs into chapters. Give it a title. Oh my goodness – a book! Marathon runners don’t normally set out to master that gruelling discipline. They will usually go through an apprenticeship of sprints, middle-distance, cross-country and finally, having altered their training regime, they feel they are ready for the big one. In terms of writing, I’ve discovered a lot of folk have served a similar apprenticeship with their writing. It seems to follow the pattern of; poetry, short stories, flash-fiction, novella, novel. Okay, in some cases there are those that go straight from one of the early stages to novel writing. There are even those few who go straight for the big one. What’s the next logical decision to be made? Traditional publishing, or eBook? Now we come to the crux of the thing. At this point we must do what many people have difficulty with … and be honest with ourselves. Are we in it for the pleasure of writing, to entertain, to make money, or a mixture of the aforementioned?We must consider our answer before we go back to that publishing question. Why? It’s quite simple. If we go down the traditional route, we will be spending money on our hopes of recouping the outlay with sufficient sales. All the months of effort must go through the time-consuming, filtering process of proof-reading, copy editing, etc. Does the style work? Is the grammar good enough? How accurate is the punctuation? Oh yes, that’s apart from questions raised on title, plot, characterisation, imagery and whether there is any entertainment value. The traditional route can take many months after the story is written. Personally, I have no desire to be famous. My driving force is to entertain and as a by-product of that, I’d like to achieve some success – which isn’t the same as being famous. What have I done about it? In 2007, I started on poetry at Starlite, and then progressed to short stories and flash-fiction. I tried writing a novel, but was honest enough with myself to know that I wasn’t learning enough from my reading, or my reference books. 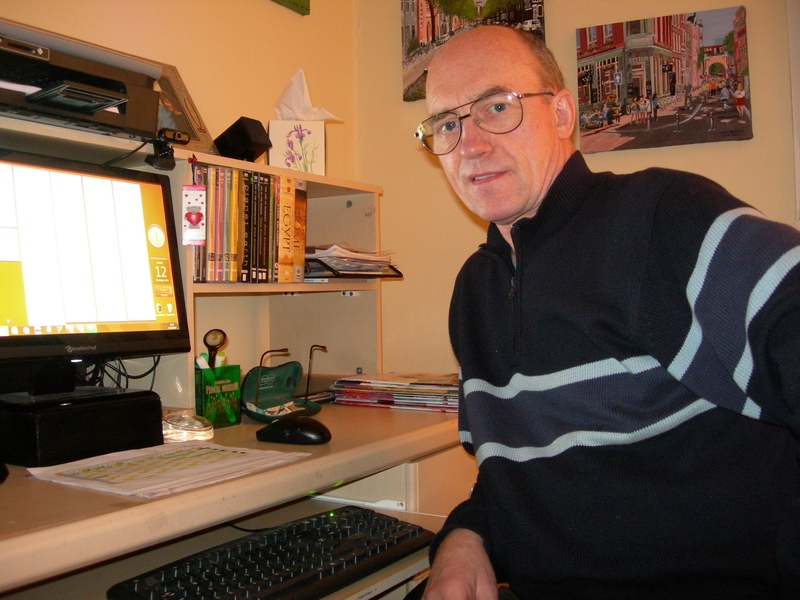 I joined local writing group, the Inkerman Writers under the leadership of John Dean, journalist and crime novelist. Within the environment of a writing group, an aspiring writer learns if they have any ability in the use of words. It’s not pleasant to hear that what you thought was good, is actually not, but isn’t that what ‘feedback’ is all about? I’ve produced two novels in the last two years, ’10 Days in Panama’, and ‘Beyond The Law’. I’ve gone through the journey of at least four drafts with each story, and had the satisfaction of formatting the manuscripts myself. I’ve self-published my stories as eBooks on Amazon. In both cases I’ve gone on to publish fresh editions – because I found issues when I downloaded them and read again as a writer. My books may not be ‘bestsellers’ and they may not bring me fortune and fame, but they have sold in six countries so far and I’ve had several decent reviews. The only ‘Great Expectations’ I have is the copy on my Kindle, but I’m enjoying what I do, and also the thought that my efforts have entertained. In that respect I’ve achieved my aims.My third novel, ‘Discovering Amsterdam’ is already underway. It is a romance laced with intrigue and my first objective is to submit it to New Writing North as a contender for the Northern Writers’ Awards 2014. Why the analogy with running? In my running days, I started at 200-metre sprints, moved onto cross-country, 5000 metres and then competed in half-marathons and marathons. I revamped the story, redesigned the front cover and relaunched the book on Amazon / Kindle two weeks ago on a five-day FREE promotion. So far there have been 100 downloads across the UK and 1000 downloads Worldwide. If you are one of those good people – I thank you! Yes it’s true, I’ve moved my novel to Amazon Kindle and I’ve put it on a FREE promotion for five days. I spent two weeks in March giving the manuscript a mini-revamp, re-titled it to become: ’10 Days in Panama’ and to finish the job off, I refreshed the front cover. I’m pleased to report that in it’s first couple of hours on promotion it was downloaded over 130 times. If you haven’t got your copy, why not get along to Amazon Kindle before Saturday and get it for FREE. From Saturday it will revert to the minimum price of £1.99 / $2.99 approximately (give or take a penny or two). This is a short post to highlight the move to Amazon Kindle but I’ll be back in a day or two if there is any progress to report. I’m now once again working on ‘Hawk’, a vigilante thriller set in Glasgow. It’s already on the third draft so I’m pleased to be getting back onto it.